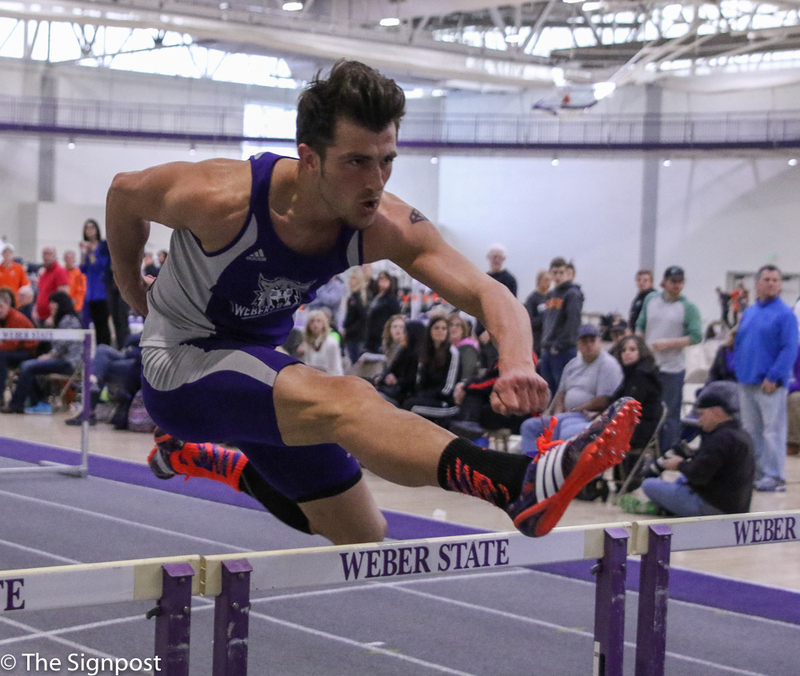 The Weber State Track and Field team hosted the Weber State Indoor Invitational Friday evening at the Weber County Fairgrounds and Saturday morning at the Stromberg Arena. During the event, Weber State earned 17 total wins while many athletes qualified for the Big Sky Conference Championship that will be held at the end of February. 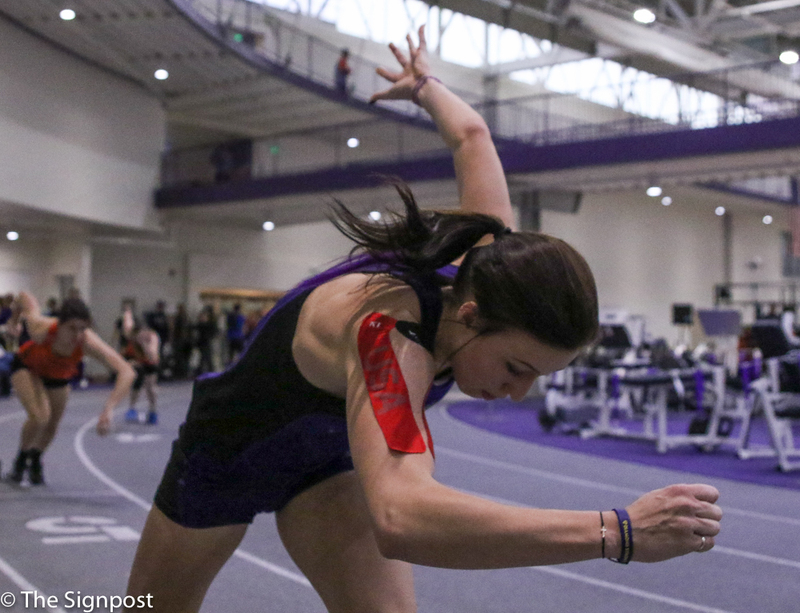 The women triumphed at the competition this weekend, placing first in 11 different events and adding athletes to the top 10 all-time record list. Friday night, Senior Natasha Powell topped the charts in both the women’s shot put and weight throw. She took first place in shot put with a mark of 42-00.75. She also placed first in the weight throw at 60-04.50. On Saturday, Senior Alexandria Van Halder took first place in the 55-meter dash with a time of 7.22. Teammates freshman Ashlynn Allred and junior Tawnie Moore followed Halder. Freshman Aaliyah Crawford took first place in the 200-meter dash at a time of 25.56. Teammates Halder, Moore and Allred followed Crawford. 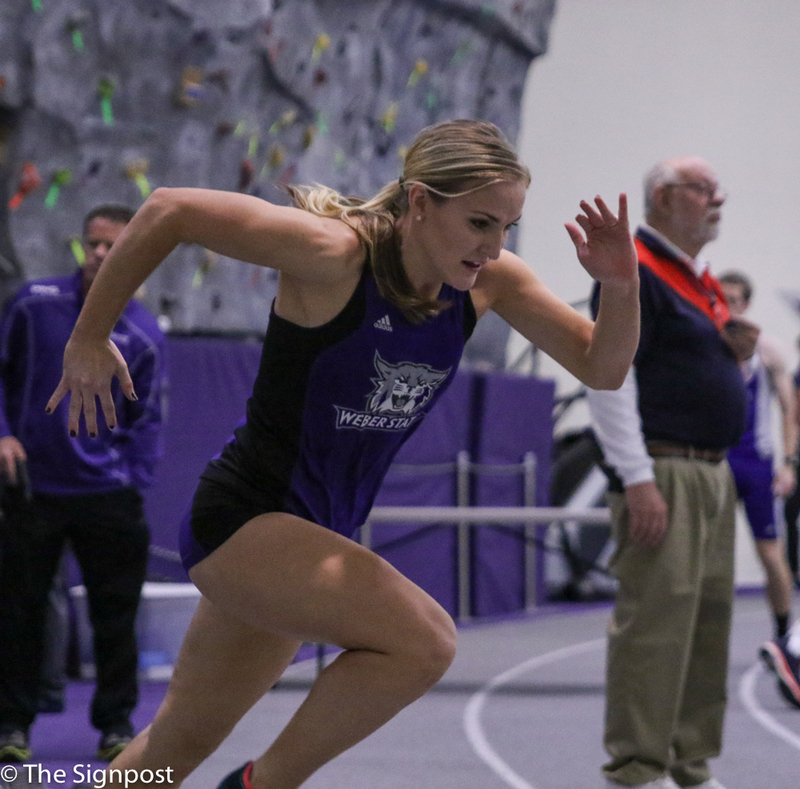 Sophomore Michaella Hillstrom earned a new season high Saturday in the 800 meters with a time of 2:15.36, the second best score in the Big Sky Conference. Tawnie Moore smoked out her competition in both the preliminaries and finals of the 55-meter hurdles. Moore, who was currently tied for fifth place with Kristina Mckinley with a score of 8.08, jumped a few spots up the all-time top 10 list. Moore is now in second place with a 7.95, beating out Colby Foxley of 2005. Moore is just seconds away from being number one on the list, just behind Nsa Henshaw with a record of 7.81 from 1998. The women also had great success in the pole vault, with junior Ali Morris and sophomore Shealynn Wacaser tying at 12-00. 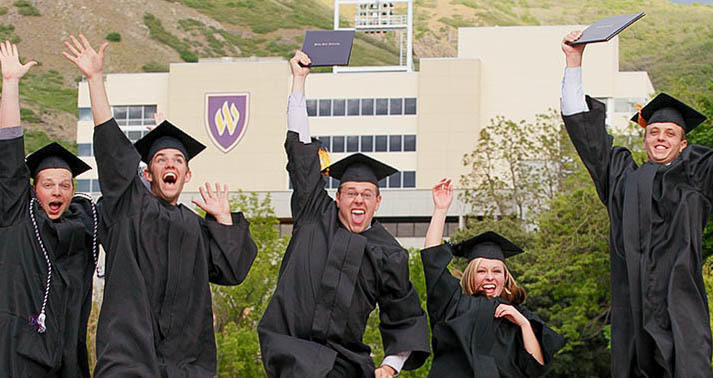 That placement allowed both athletes to qualify for the Big Sky Conference Championships. Morris, who held third place in the all-time WSU records, moved up to second place with her new score. Wacaser’s name will now feature on the list, as well. The men also dominated the field, placing first in six events. On Friday night, junior Justin Hebert came in first place in the men’s weight throw competition with a throw of 60-01.75. Junior Joe Maloney placed first in the 800-meter run with a time of 1:55.25 with his teammate sophomore Josh Hartford right behind with a time of 1:55.62. Senior Jason Kearns was also a top finisher in the 3,000 meters with a time of 8:49.20. Freshman Logan Leavitt took first place in the long jump event, landing a mark of 21-01.50. 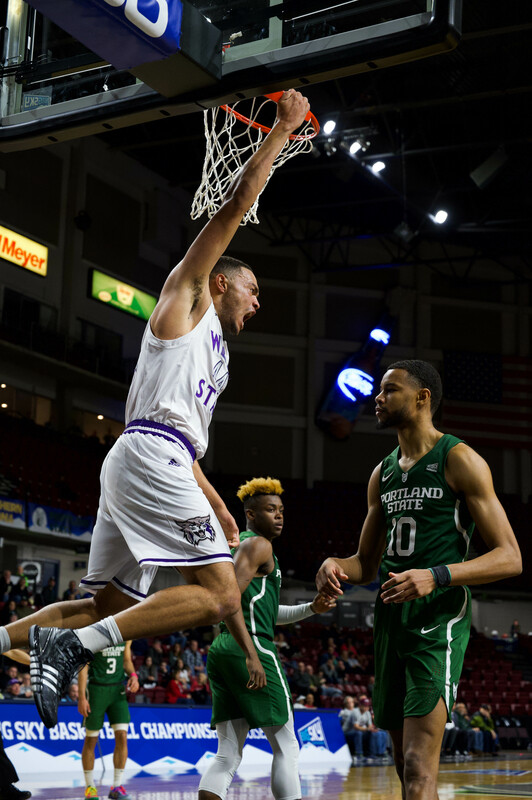 This was WSU’s last home meet before the Big Sky Conference Championships on Feb. 25-27. 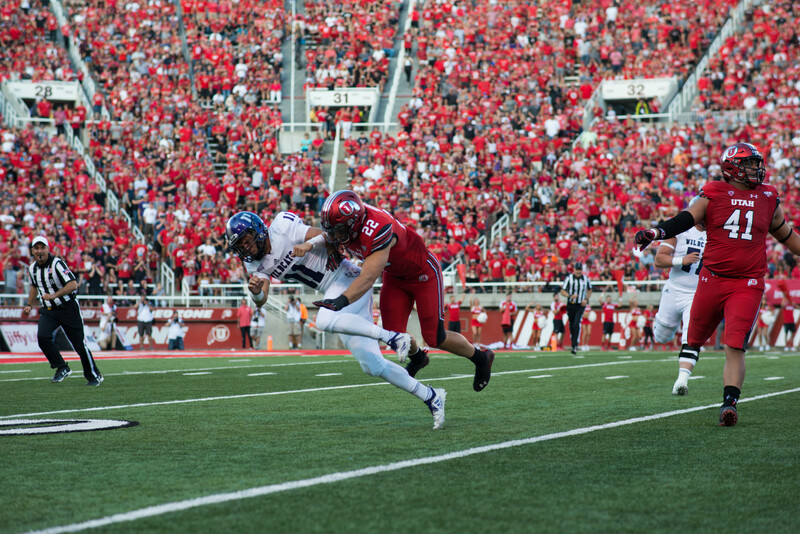 Next week, the Wildcats will travel to Pocatello, Idaho, where they will compete in the Mountain States Games.